This holiday season we’ve put together the ultimate advent calendar to help you countdown to Christmas with 25 days of delicious chocolate treats you’ll love! Not only are these chocolates the perfect pick-me-up for your taste buds, they’re also made with added whey protein isolate. Celebrate this December and satisfy your cravings at the same time, the IdealShape way! Cocoa Butter, Whey Protein Isolate, Cane Sugar, Whole Milk, Chocolate Liquor, Anhydrous Milk Fat, Soy Lecithin, Natural Vanilla Flavor. Contains Milk and Soy. May contain traces of tree nuts. 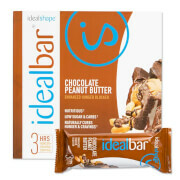 Getting this product for free with my meal replacement shake super excited you cant go wrong with free thanks ideal shape for ❤ caring im sure these are amazing and its low in everything bad and high in everything good super happy to give a try and have them as a little treat on my weight loss journey!!! These chocolates are amazing. At first I was like HUMM and then it was like YUMMMM !! 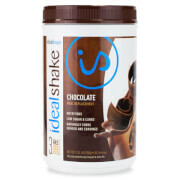 !The aftertaste is so good and it gives you that chocolate fix your looking for!